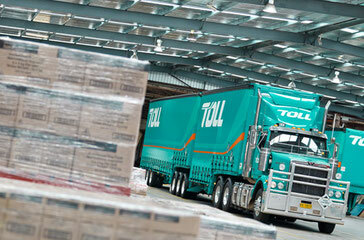 Australia-based Toll Group will be holding meetings with union officials over the next few days to discuss possible job losses, because the company is facing "challenging" market conditions, local media reports said. Toll Group, which was bought by Japan Post in 2015 in a deal worth A$6.5bn (4.7bn euros), could be facing up to 200 redundancies. A report in the Australian Financial Review said Japan Post has plans to halve the number of white-collar jobs at Toll Group headquarters and the Melbourne-based regional transport group and the company has warned its unions that up to 2,500 of their members could lose their jobs before the end of the financial year. Japan Post is expected to confirm as early as this week moves to cut 300 head office jobs, AFR said. The unions have been warned that between 1,500 and 2,500 Australian jobs are presently at risk, but insiders suggest that the target presently sits closer to the bottom of that range. According to informed sources, the job cuts and strategic shifts come on the back of a collapse of earnings through the current financial year with claims that the Toll Group is bleeding A$25 million (18mn euros) a month. A Toll spokeswoman refused to confirm or deny the speculation, but she confirmed that the new leadership team and board were reviewing the company's business to ensure that an organisational structure is in place, which takes into account the challenging environment in the logistics industry. The Australian Financial Review quoted two sources as saying that Toll operations in Asia are presently losing money and that the number of job losses flagged will rise as the company makes targeted withdrawals from the region. The newspaper also said that senior Japan Post executives were in Melbourne last week and that Toll's new owner is deeply unhappy with the performance of the business since its acquisition. Toll presently employs an estimated 30,000 people across the Asian region and it runs its long-line logistics business from a head office that employs about 600 executives and managers. I am one of those people who have lost their job this week. It's very frightening about the future. I was there for 13 years.